I have been pretty lucky when it comes to martial arts and the people I have met through my passion for it. I happened to figure out my own experiences training for over 20 years could add some insight to covering the sport of mixed martial arts and the fighters. When I started, I saw it was more than analysis on technique, previews, announcements, and interviews. Every fighter has a story to tell, but not all of their stories are told well. That’s where Duane Finley comes in to do what he does better than anyone. 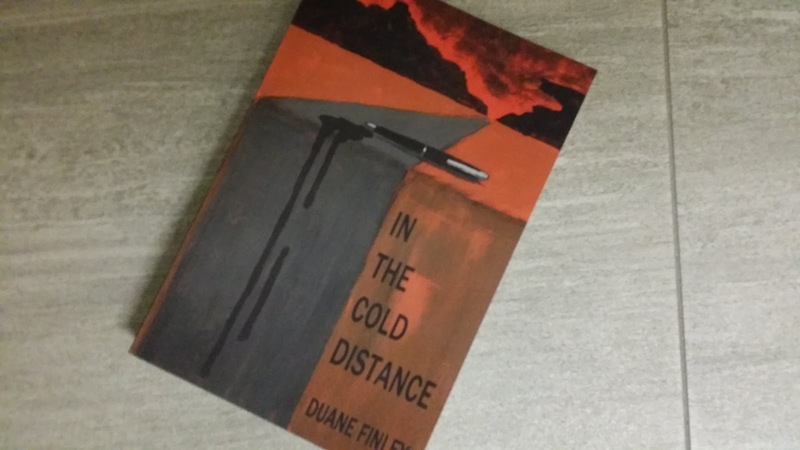 His book, In The Cold Distance, includes a lot of fighters and their stories but it is more than a journey through MMA history. It is a roadmap for those that want to cover MMA and a look at the man known as Ol’ Bo (Finley) and how he became the best story-teller in the game. There’s a lot of MMA news out there that folks can read, mention in conversation and forget about, but Finley is not a guy that produces those “click-bait” type of articles. He made his name in the sport spending time with fighters when they weren’t going through the motions of fight-week. He spent time with them and their families and because of his search for who these athletes really are, they respect him and fans of his work respect him too. His book takes you back on the road trips where he went searching for these stories in the sport of MMA, about the fighters and what they sacrifice outside of competition before they sacrifice their bodies in competition for our entertainment. While it is funny at times, Finley went through some sacrifices of his own that he shares in the book as well. The life of a story-teller is a rough one and if you have seen Finley and wondered why it looks like he has bags under his eyes, it’s probably because sleep is something he doesn’t get a lot of when he’s doing what he does best. The difference between a story-chaser and a story-teller is understood best after you read this book. There are now two books I recommend folks read when they say they want to know more about MMA. One is Jim Genia’s Raw Combat, and the new one is In The Cold Distance. I have to admit that like Raw Combat, I have also had the pleasure of meeting Mr. Finley. Coincidentally, Genia’s book gets a mention in this one too but that should not surprise anyone when you read the work of men like Genia and Finley. I'm just going to copy and paste this as my review of the book on Amazon as well, but if you read this Finley, I owe you another beer for bringing "the real".